I'm up in NY for the holiday so things will be quiet around Between Love & Like headquarters for a few days. Hope you all have a wonderful and safe holiday! I know, it's super crazy to believe but yup, Strokes frontman Julian Casablancas did seriously rock a goofy Christmas carol, "I Wish It Was Christmas," to its knees last night on "Late Night with Jimmy Fallon." Sure, he had a little help from show's house band (The Roots) and the song's originators, Horatio Sanz and Jimmy Fallon who did the song in a "Saturday Night Live" skit). But it was his melodious liquid baritone that embodies a Velvet Underground-era Lou Reed that let Casablancas take a goofy holiday song and make it as gritty and interesting as Alphabet City circa 1981. Super smart to have it available for download via iTunes. What a great reason to stay up late! The utterly rad Silversun Pickups are playing The Tonight Show with Conan O'Brien tonight. Word is they'll be doing "Substitution"...no word if the musical chairs winner is part of the set. 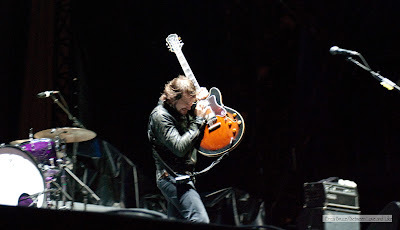 The Pickups are also heading back out on the road in February as openers for the UK group Muse. More dates are coming, I'm told, but the first few are below. Seeing the Pickups in an arena type environment is just going to be amazing. 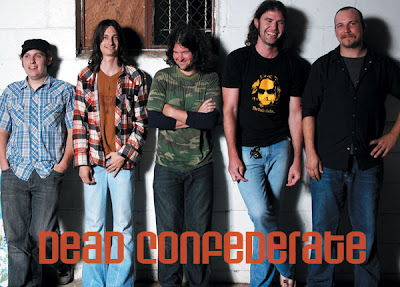 One of the absolutely loudest bands I've ever seen live, Dead Confederate announced today that they've put out a seven-track live cd that was recorded at The Earl in Atlanta, GA this past May for free download. Titled Free Ammo, it includes four DC songs, one previously un-released new song called "Guns," and two covers - Elliot Smith's "Roman Candle" and Officer May's "Smoking a Minor." While the download is free, you can obtain additional items (and the record in additional ways, including vinyl) if you purchase one of their sets (see here). With each record/set purchased, DC will donate $1 to help rebuild the Georgia Theater, in Athens, which was gutted and destroyed by a fire in June 2009. Seen Your Video: The Airborne Toxic Event's "Gasoline"
"Gasoline" has been one of my favorites from The Airborne Toxic Event since the very first time I saw them at SXSW in 2008. (So much so in fact that I found myself asking for even the roughest demo of it to go with the big interview we did with them less than a month later.) It's got such energy, and that combination of Daren Taylor's drum beats and Mikel Jollett/Steven Chen's guitar riffs creates the hookiest of hooks. The video for it came out a few weeks ago and it's charming. Both a band video and homage to their stomping ground of East Los Angeles, it shows the landscape and the streetscape on which ATE thrives. 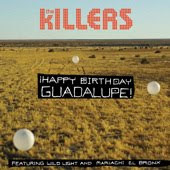 2010 is a year that is bound to be platinum for The Morning Benders. They just got a record deal (Rough Trade Records picked them up), a new full-length album coming out, (Big Echo, which was produced by TMBs lead singer/guitarist Chris Chu and Grizzley Bear's Chris Taylor), and a large spring headlining tour that starts the day after Big Echo comes out on 3/9. Having opened for a variety of bands on major tours already (The Kooks and We are Scientists, among others), this gang of four has definitely worked hard for all their good fortune. 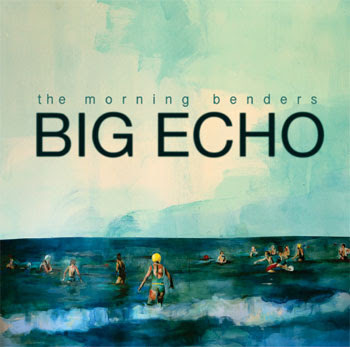 As we said about them with our interview earlier this year, It's not an easy existence, criss-crossing the country as a touring band, but The Morning Benders are clearly four guys who take their music seriously and settle in for a good laugh about the rest, all the while enjoying the ride. As the end of the year/decade draws near, I've been pondering which items I want to include on my "Best of 2009" and "Best of the 2000s" lists. The Drive By Truckers will be on the decade list I'm sure, the question is which record to choose? I discovered them via a birthday present of A Blessing and A Curse a few years back but the true clincher was seeing lead singer Patterson Hood's passionate cover of Jim Carroll's "People Who Died" at the first Virgin Fest. Normally, the choices (IMHO) for these best-of lists should be based on "How many times did I listen to it on repeat?," "Do I still get the same goosebumpily feel now that I got the first time I heard it?," and "Am I still listening to it now?" And while A Blessing ranks high up there with this criteria, it can't be chosen hands down, and why? Because Jason Isbell's "Goddamn Lonely Love" isn't on it (it was on a previous record Dirty South). Song after song, I keep noticing that it is Isbell's songs I am most drawn to in the Truckers catalog (Mike Cooley runs a close second), but "Goddamn Lonely Love" just floors me. 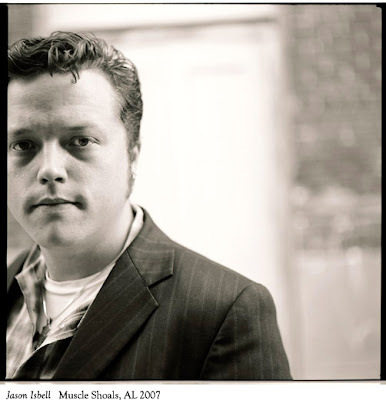 With a combination of Isbell's descriptive and uniquely-stated lyrics paired with his choirboy-clear voice, this one, like most of his songs, are incredibly passionate. Like that friend you turn to when something happens because he/she can always relate and just gets "it," Isbell's songs act like an incredibly strong emotional salve. and everyday there's a little less difference between the two. So I belly-up and disappear. Well I ain't really drowning 'cause I see the beach from here. along with everything a home is made up of. to kill this goddamn lonely, goddamn lonely love. Sister, listen to what your daddy says. Don't be ashamed of things that hide behind your dress. Belly-up and arch your back. Well I ain't really falling asleep; I'm fading to black. as that old motel room in Texarkana was. A man walks into a bar and leaves before his ashes hit the floor. Stop me if I ever get that far. The sun's a desperate star that burns like every single one before. but I ain't dreamin' anymore, I'm waking up. 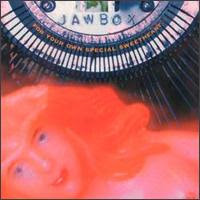 Seen Your Video: Jawbox Reunion on "Late Night with Jimmy Fallon"
Wowza...This was the first Jawbox performance in 13 years and their sound was tighter than many bands who play all the time. As we said a few days ago, the Fallon show will be the only reunion performance for the reissue of the classic, For Your Own Special Sweetheart. Tracks played were "Savory," as shown on the program, and "FF=66" and "68," which were done only in rehearsal. Cymbals Eat Guitars is taking their Brooklyn-indie music on the road across the States this spring with Bear. 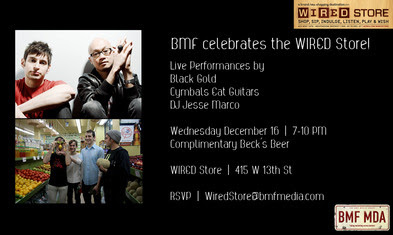 They're also playing NYC's Wired Store with Black Gold next Wednesday. 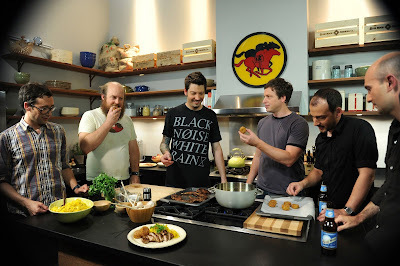 So the IFC channel has this really neat show coming up in April 2010 called Dinner with the Band, where different indie bands talk, cook, and play with a supremely-hot NYC chef, Sam Mason. However, episode snippets are being shown as a precursor ever Tuesday night at 11 pm, from now through 12/29. This week's guest will be Les Savy Fav where they'll be getting down with "Yawn, Yawn, Yawn," and "Bringing Us Down," and cooking up Les Savy Pheasant (Jerk Pheasant) with a side order of Mason Mofongo (fried green plantains or fried yuca, seasoned with garlic, olive oil and pork cracklings, then mashed) and Je T'aime Punch (Mai Tai). Good music, good food, good convo, and a hot chef, what more can you ask for? My mouth is drooling already! Read the NY Times article on the program here. Word came today that DC's own Jawbox will perform on Late Night with Jimmy Fallon tomorrow, December 8th (NBC). It will be the band's one and only performance in celebration of the reissue of their 1994 release, For Your Own Special Sweetheart. Dischord Records says that the "the CD and Digital Album (MP3) feature 3 extra tracks from the Savory EP and the LP features a free MP3 Album Download (which also includes the 3 Savory EP tracks)." Our local City Paper spoke to lead singer-guitarist J. Robbins about the reissue and reunion last month. Looking for the Lifter Puller vs The End Of Book? --It has been available for purchase since last Friday, and only at Treehouse Records in Minneapolis for a mere $25. They do mail-order (link here). --It will not be sold via Amazon or a larger book site of Amazon's ilk, but will be available shortly online via Blue Collar Distribution. 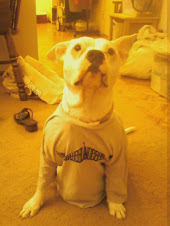 --Only 1,000 copies were made. --With its purchase, you get a card with a code to digitally download the entire Lifter Puller re-releases and Slips Backward. However, the live tracks on each record from 7th Street Entry, the Black Cat, and Triple Rock are not included with that. --Included are "tons of rare photos, artwork/flyers/posters, complete lyrics, and an oral history of the band as told by people who were there (engineer Dave Gardner, Twin Cities rock ambassador Lori Barbero, Dillinger Four's Paddy Costello, Trenchmouth's Damon Locks, Syd Butler of Les Savy Fav and Frenchkiss Records, Chris Newmyer of Self-Starter Foundation, Dan Cote of Heart of a Champion and Treehouse Records, and more"(Treehouse Records blog). 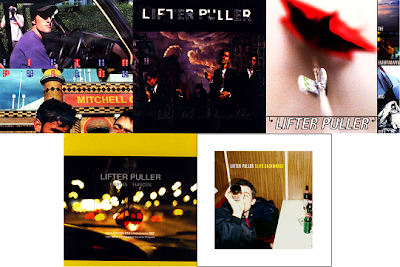 As we reported a few weeks back, Lifter Puller's whole catalog is being digitally rereleased, as well as Slips Backwards, a new release of various LP odds and ends. Out of print since 2006, the rereleases also include live tracks from shows at the 7th Street Entry and Triple Rock in Minneapolis, and the Black Cat, here in Washington, DC. Given my love of The Hold Steady, it's great to hear its pre-cursor. The sound is still pure testosterone but with more of a punk rock sneer clad in Doc Martens. Not sure which record to start with? It just so happens that Spinner is running free steams of each one (see links below) for your listening pleasure. Also released (or maybe about to be released? For the life of me I cannot find a drop date for this thing!) 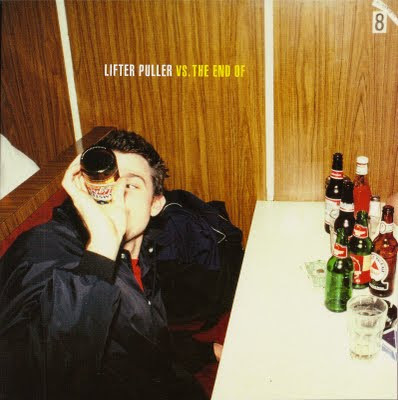 is Lifter Puller Vs. The End Of, a 96-page book containing photos, lyrics, and an oral history of the band (as well as a code to download the catalog! Woot!). The book was put together by the band with help from Jessica Hopper (Girls Guide To Rocking) and Minneapolis graphic designer Jason Miller. In it, you'll learn such fun facts like LP was on "The Jenny Jones Show" and the topic was "Good Strippers vs. Bad Strippers." Veery interesting. With stuff like that, I think Craig Finn was right with his comment that The Hold Steady is a great band, but Lifter Puller would probably be a better movie. Downloads of the each LP record are available at iTunes and Amazon. Want them a bit cheaper? Emusic is providing all tracks to be downloaded for the cost of just a few. Has everything but Lifter Puller but still quite a bargin! All the proceeds from the song’s sales go directly to the Global Fund to fight AIDS in Africa (so no sharing downloads!). Click here to purchase the single on iTunes. If you're wondering what to get that hard-to-buy-for bibliophile this holiday season, or want to get Lucero frontman Ben Nichols a present, we may have found you the perfect gift. 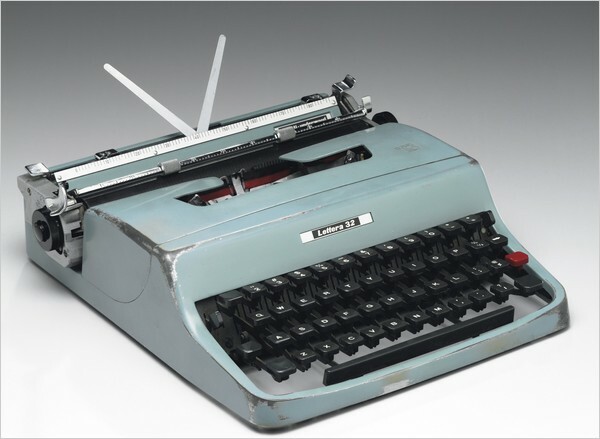 The NY Times reports that Cormac McCarthy, author of such acclaimed books like Blood Meridian, All the Pretty Horses, and The Crossing is putting the Olivetti typewriter he wrote every one of his books on up for auction on Friday. A personalized authenication letter will accompany it. Cormac McCarthy has written more than a dozen novels, several screenplays, two plays, two short stories, countless drafts, letters and more — and nearly every one of them was tapped out on a portable Olivetti manual typewriter he bought in a Knoxville, Tenn., pawnshop around 1963 for $50. Lately this dependable machine has been showing irrevocable signs of age. So after his friend and colleague John Miller offered to buy him another, Mr. McCarthy agreed to auction off his Olivetti Lettera 32 and donate the proceeds to the Santa Fe Institute, a nonprofit interdisciplinary scientific research organization with which both men are affiliated. Mr. McCarthy, 76, has won a wagon-full of honors including a Pulitzer Prize, a National Book Award and the MacArthur Foundation’s so-called genius grant. Books like “Blood Meridian,” “All the Pretty Horses” and “The Crossing” have propelled him to the top ranks of American fiction writers. Mr. McCarthy is known for being taciturn, particularly about his writing. He came to realize that not only his working method but even his tools are puzzling to a younger generation.